Happy Halloween 2012: Trick or Treat? Today is October 31st, time for an All-Hallows Evening, otherwise known as Halloween. 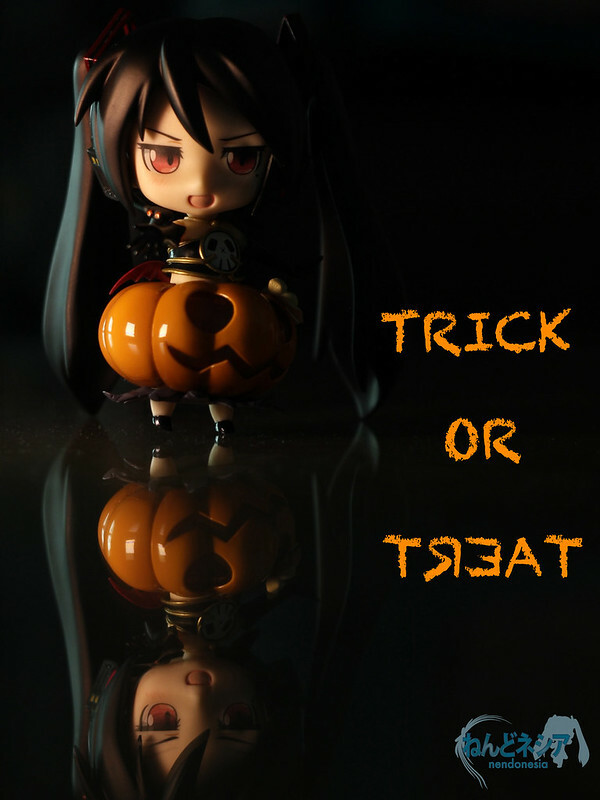 This entry was posted in News and tagged event, halloween, nendoroid, zatsune miku. Arghhh!! GSC, please re-release Melissa Seraphy nendoroids! Halloween is the best time for that!